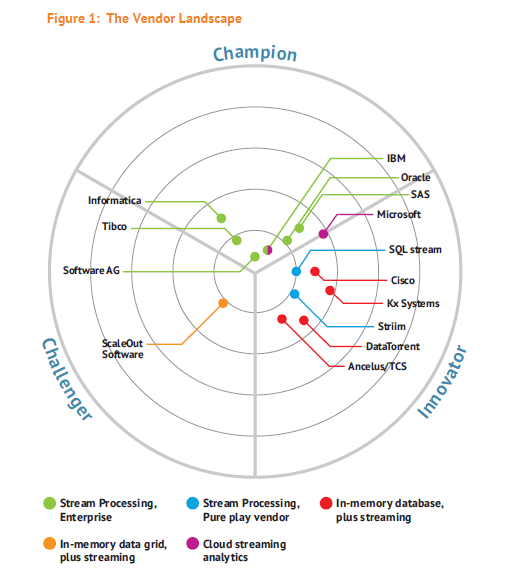 Why does Software AG have the highest scoring streaming analytics platform? We come armed with the highest performing data processing engine to deliver real-time business transformation to our customers. Don’t just take our word for it. Download your copy of the Bloor Market Report on Streaming Analytics 2016 today. Bloor says it best: Software AG’s “comprehensive combination of performance and scalability, streaming analytics operators, graphical tools and solution accelerators for application development” puts us at the top of the class. With sophisticated integration patterns for databases and storage platforms, in-memory caching for faster access, and integrated predictive analytics, it’s no wonder our customers are raving about their results. See your future with real-time analytics that drive business transformation. Download your complimentary copy of the report today. For more information about Software AG streaming analytics solutions visit our analytics portal.